We are exploring the world of "Criminalizing Conservatism Through Internet Activism" today with an article from Sourcewatch.org, reformatted and sprinkled as usual with some of our newly-found photos and cartoons. What can the people do when the Fascist Five in the Supreme Court unleashes all the Conservative billionaires' hidden money into the political process? 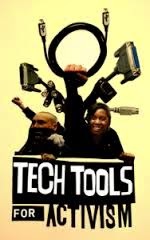 One person can make a difference in today's online world as internet activism is a primary way to start the process of criminalizing Conservatism, and Sourcewatch's article also gives us many, many software tools to get us going (Scroll down to "Software"). "Internet activism uses Internet communications technologies to enable faster communications and coordination by citizen movements. 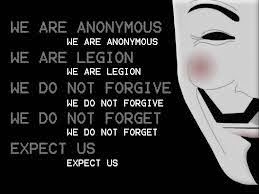 "The sophistication and impact of Internet activism seems to be growing. In 1999, opponents of corporate-led globalization used the Internet effectively to coordinate protests against the World Trade Organization that came to be known as the 'Battle in Seattle.' 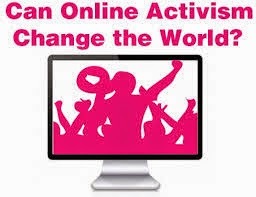 Groups like MoveOn and StopDrLaura.com have successfully used the Internet to raise funds and push their causes. Corporations also use the Internet to mobilize support for their causes. "President Barack Obama was elected in large part because of his unprecedented success in utilizing internet activism via his Obama for America efforts. "Carol Darr, director of the Institute for Politics, Democracy & the Internet in Washington, thinks the Internet works best as an organizing tool for 'charismatic, outspoken mavericks' with 'outsider' appeal in elections. 'The Internet is tailor-made for a populist, insurgent movement,' says Joe Trippi, who managed the Howard Dean campaign. In his campaign memoir, The Revolution Will Not Be Televised, Trippi notes that the Internet's 'roots in the open-source ARPAnet, its hacker culture, and its decentralized, scattered architecture make it difficult for big, establishment candidates, companies and media to gain control of it. And the establishment loathes what it can't control. This independence is by design, and the Internet community values above almost anything the distance it has from the slow, homogenous stream of American commerce and culture. Progressive candidates and companies with forward-looking vision have an advantage on the Internet, too. Television is, by its nature, a nostalgic medium. ... Look at Ronald Reagan's campaign ads in the 1980s - they were masterpieces of nostalgia promising a return to America's past glory and prosperity. The Internet, on the other hand, is a forward-thinking and forward-moving medium, embracing change and pushing the envelope of technology and communication' (p. 102). 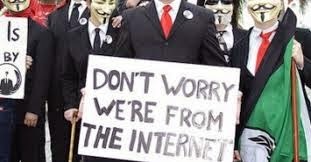 "Other critics of Internet activism have suggested that it can be counterproductive because it 'makes people feel like they've done something when they haven't,' in the words of Allen 'Gunner' Gunn of The Ruckus Society, a training group for activists based in Oakland, California. "That's the low-hanging fruit and doesn't really mean they've embraced the issue ... and politicians understand that." 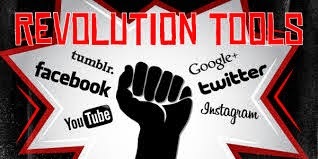 "'The Internet connects an ideologically broad anti-war constituency, from the leftists of ANSWER to the pressed-for-time "soccer moms" who might prefer MoveOn, and conservative activists as well,' observes Scott Duke Harris. According to University of California professor Barbara Epstein, however, the Internet 'allows people who agree with each other to talk to each other and gives them the impression of being part of a much larger network than is necessarily the case.' 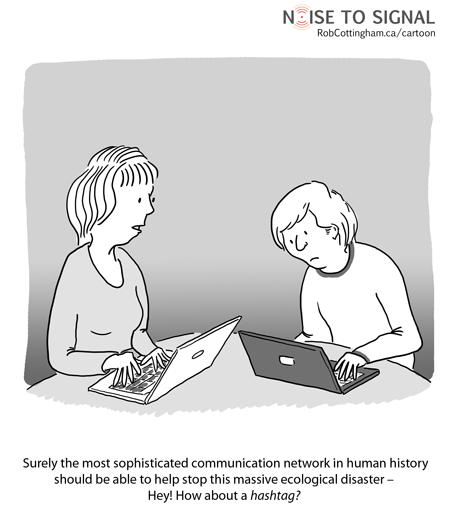 She warns that the impersonal nature of communication by computer may actually undermine important human contact that always has been crucial to social movements. 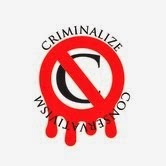 However, some Internet sites, such as Meetup.com, have been used by activists for the very purpose of overcoming the social isolation that has become common in modern, TV-fed society. www.misleader.org - A Daily Chronicle of Bush Administration Distortion. Activism on the Internet, University of Utah. Josh Richman, "Point-and-Click Activism," Oakland Tribune (Oakland, CA), June 9, 2002. Steve Davis, Larry Elin and Grant Reeher, Click on Democracy: The Internet's Power to Change Political Apathy into Civic Action (Boulder, CO: Westview Press, 2002), ISBN 0813340055. Eric J.S. Townsend, E-Activism Connects Protest Groups. Web Makes It Easy To Organize Rallies Quickly, But Sheer Volume Of E-Mail Can Hinder Cause, Hartford Courant, December 4, 2002. 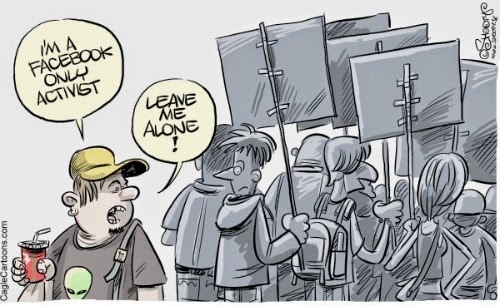 Scott Duke Harris, "Anti-war movement marshals forces online," San Jose Mercury News, February 3, 2003. B.L. Ochman, "Online Activists' Lessons For Online Business," WebProNews, August 5, 2003. Garance Franke-Ruta, "Virtual Politics," The American Prospect, Volume 14, Issue 9, October 1, 2003. Klaus Marre, "Grassroots Growing Fast in Cyberspace," The Hill, October 13, 2003. Ira Sager, "Up Front," Business Week, January 12, 2004. Amy Harmon, "Politics of the Web: Meet, Greet, Segregate, Meet Again," New York Times, January 25, 2004. Ann M. Mack, "Campaign '04: How the Internet is Changing Politics," MediaWeek, January 26, 2004. "Political Influentials Online in the 2004 Presidential Campaign," Institute for Politics, Democracy and the Internet, Graduate School of Political Management, George Washington University, February 5, 2004. Daniel H. Steinberg, "O'Reilly's Digital Democracy Teach-In," O'Reilly Network, February 10, 2004. Mark Surman & Katherine Reilly, "Appropriating the Internet for Global Activism," Yes Magazine, Spring 2004. Also here. Dan Hazen and Tai Moses, Troops Rally For Regime Change Battle, AlterNet, March 5, 2004. Carlos Watson, "The Rise of the Online Citizen," CNN.com, March 17, 2004, suggests that blogs may be "Democrats' answer to talk radio," citing a study by George Washington University showing that "online political citizens" outnumber Republicans almost 2 to 1 (49% to 27%). Matt Stoller, "When Mainstream Political Kibitzing Comes Online," The Blogging of the President 2004, April 4, 2004, notes "some interesting similarities between talk radio and blogs," with "one key difference ... blogs create memory, whereas talk radio and cable punditry destroys it by turning opinion and analysis into an ethereal product." John Emerson, "An Introduction to Activism on the Internet," January 2005. Aaron Kreider, “Online Activism 2.0: Movement Building”, Znet, January 08, 2007. If online activism is "The Internet is tailor-made for a populist, insurgent movement" and we are looking at a new age with "The Rise of the Online Citizen," then this article will be an excellent primer for your political objectives, whether it's for criminalizing Conservatism, LGBT issues, feminism, or overturning Citizens United. Conservatism is a vast criminal cartel that needs taking down badly, and any one of the tools mentioned in the article, right or left, successful or not, will serve to make life uncomfortable to Conservatives and their Sheeplets everywhere.